QuoteValet Shopping Cart | First Direct Corp.
With the QuoteValet Shopping Cart, build and use online order forms to automate customer re-orders and receive paid orders from promotional e-mail blasts! The QuoteValet Shopping Cart is included in your QuoteValet subscription at no extra charge, and is easy to set up and use! Do customers routinely order consumable, low-dollar items that you don’t make much money on? The QuoteValet Shopping Cart automates this process! 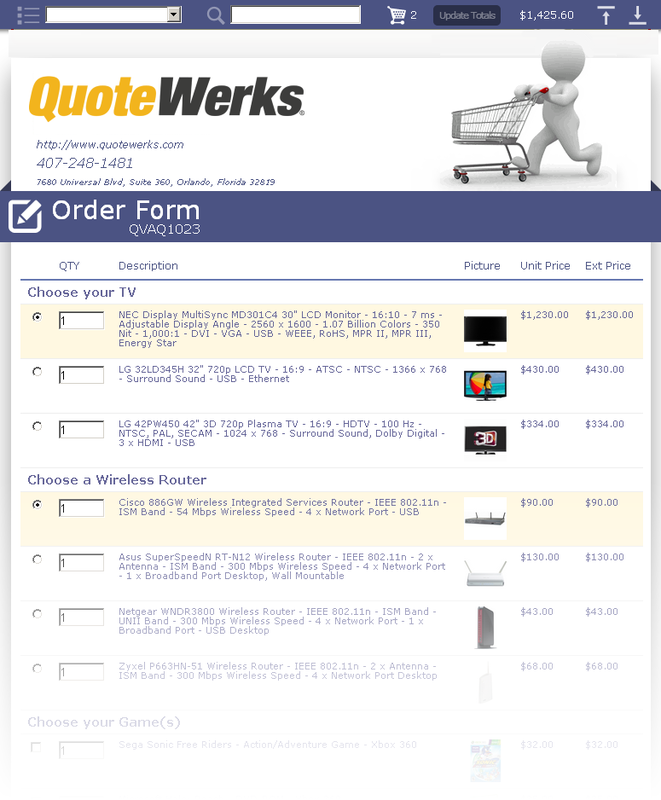 Simply set up a Shopping Cart order-form template that contains all the items your customer typically orders, then give them the QuoteValet Shopping Cart website URL to visit whenever they need to order these items. From that point on, orders will appear in your QuoteValet inbox – no more phone calls and e-mails trying to identify the correct items to reorder! On an Order Form, you can add and set an expiration date for a limited-time, special-offer discount on an item (an HP Server, for example). Send an e-mail blast to your customers, pointing them to this Order Form. Soon you’ll have orders waiting for you on your QuoteValet Dashboard from those interested in the offer!